With summer quickly approaching, we can expect to see a seasonal uptick in beer sales, thanks to much-anticipated barbecues, baseball games, and the like. But when we fork over cash to buy yet another six-pack, how much is being used to cover the expense of brewing the beer itself? Less than one might think. According to the Beer Institute, “Taxes are the single most expensive ingredient in beer, costing more than the labor and raw materials combined.” Research has shown that approximately 40 percent of the retail price of beer is dedicated toward covering all the applicable taxes. In addition to the federal excise tax on beer (which ranges from $0.11 to $0.58 per gallon based on production, location, and quantity), all fifty states and the District of Columbia collect their own tax on fermented malt beverages. Unlike general sales taxes, which are tacked on after the price of goods is subtotaled, most states collect beer excise taxes from retailers according to the quantity of beer sold (usually expressed as a rate of dollars per gallon), and vendors in turn pass those costs along to consumers in the form of higher prices. While a state’s excise tax on beer is usually levied on retail sales, some variation in collection methods exists from state to state. 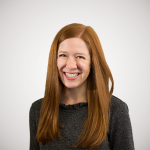 For instance, some states levy taxes further up the supply chain by taxing brewers, importers, or other wholesalers as a percentage of revenue generated or at a fixed price per gallon, bottle, or case of beer sold. Many states also generate revenue by collecting license fees from beer distributors. Because beer taxes are often collected at other points in the supply chain, the only tax a consumer will see printed on his or her receipt is any applicable state or local sales tax that applies to the purchase. However, some states specify higher alcoholic beverage sales tax rates (that apply to beer, wine, and spirits) in lieu of the general sales tax rate. For example, in Minnesota, beer retailers are taxed at $0.15 per gallon, and then an alcohol-specific sales tax of 9 percent (instead of the state’s 6.875 percent general sales tax rate) is applied at the point of sale. The below map shows the state beer excise tax rate in all fifty states and the District of Columbia. Rates vary widely by state: as low as $0.02 per gallon in Wyoming and as high as $1.29 per gallon in Tennessee. The per-gallon rate shown on the map reflects the beer excise tax for a 4.7 percent a.b.v beer in a 12-ounce container, but sixteen states have beer excise tax rates that vary based on alcohol content, place of production, size of container, or place purchased. For example, in Idaho, beer containing more than 4 percent alcohol by weight is considered “strong beer” and is taxed like wine at $0.45 per gallon. In Virginia, the per-bottle rate varies for bottles that exceed 7- and 12-ounce thresholds. 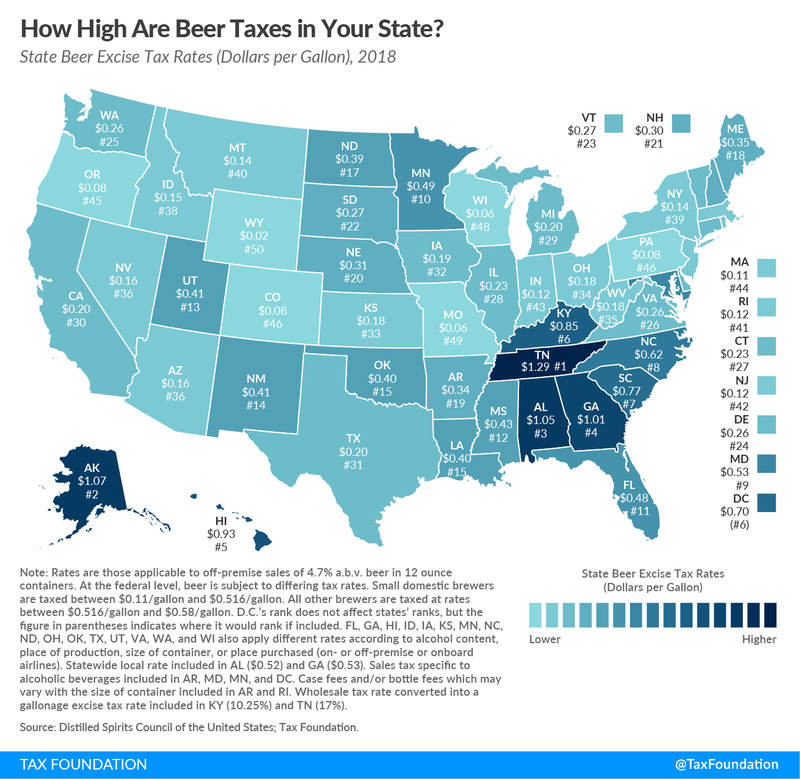 How high are beer excise taxes in your state?